Early on it was tried to use steam engines also for the propulsion of vehicles. But the first attempts failed due to the highly unfavorable weight / power proportion. The first breakthrough came in 1804 when the Welshman James Trevithik succeeded in setting a mine railway in motion by means of a steam engine. The merit for building the first, fully functional railway is generally attributed to George Stephenson, who opened his first railway line in 1822 in County Durham between Stockton and Darlington. 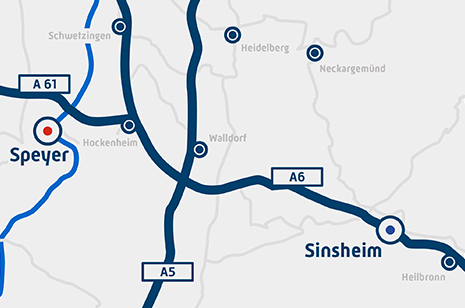 In Germany the steam railway era started in 1835 with the line Nuremberg - Fürth. The first locomotive used there, the “Adler“ (“Eagle“), was also built by George Stephenson. Up to these days it is hard to escape the fascination that is still radiating from railways and their technology. 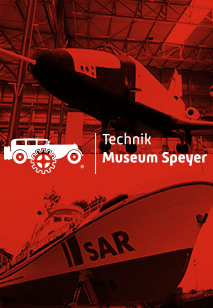 The 20 life-size locomotives that can be admired at the Technik Museum Sinsheim are impressing the viewer not last by their enormous size, which becomes particularly obvious in the indoor exhibition at the Museum.